Your body needs cholesterol to work properly. 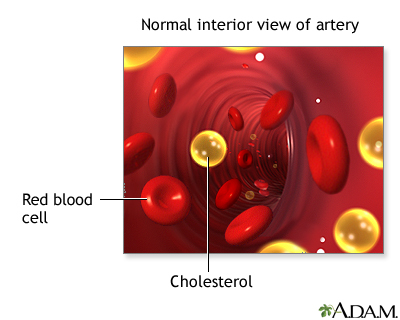 But extra cholesterol in your blood causes deposits to build up on the inside walls of your blood vessels. This buildup is called plaque. It narrows your arteries and can reduce or stop blood flow. This can lead to heart attack, stroke, and narrowing of the arteries elsewhere in your body. Statins reduce your risk of heart disease, stroke, and other related problems. They do this by lowering your LDL (bad) cholesterol. Most of the time you will need to take this medicine for the rest of your life. In some cases, changing your lifestyle and losing extra weight may allow you to stop taking this medicine. Who Should Take Statins to Lower Cholesterol? Having low LDL and total cholesterol reduces your risk of heart disease. But not everyone needs to take statins to lower cholesterol. If you are older than 75, your provider may prescribe a lower dose of a statin. This may help lessen possible side effects. How low Should Your LDL Cholesterol be? Doctors used to set a target level for your LDL cholesterol. 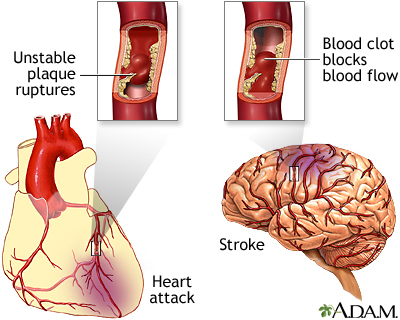 But now the focus is reducing your risk for problems caused by narrowing of your arteries. Your provider may monitor your cholesterol levels. But frequent testing is rarely needed. Adding other drugs along with statins provides little to no benefit in most cases. Higher doses may lead to side effects over time. So your provider will also consider your age and risk factors for side effects. American Diabetes Association. Cardiovascular disease and risk management: standards of medical care in diabetes-2018. Diabetes Care. 2018;41(Suppl 1):S86-S104. PMID: 29222380 www.ncbi.nlm.nih.gov/pubmed/29222380. US Preventive Services Task Force. Final recommendation statement: statin use for the primary prevention of cardiovascular disease in adults: preventive medication. www.uspreventiveservicestaskforce.org/Page/Document/RecommendationStatementFinal/statin-use-in-adults-preventive-medication1. Updated November 2016. Accessed March 20, 2018.